With just a few days left before I begin my new job, I took the opportunity to join a group of friends from Project LOVE Asia for four nights of volunteering in Mae Sot, a town along the Thai-Myanmar border. Our job was to help bring Christmas to the children at the Heavenly Home orphanage and the young adults at the Love & Care learning center. Let me share some pictures and some brief notes about the experience. 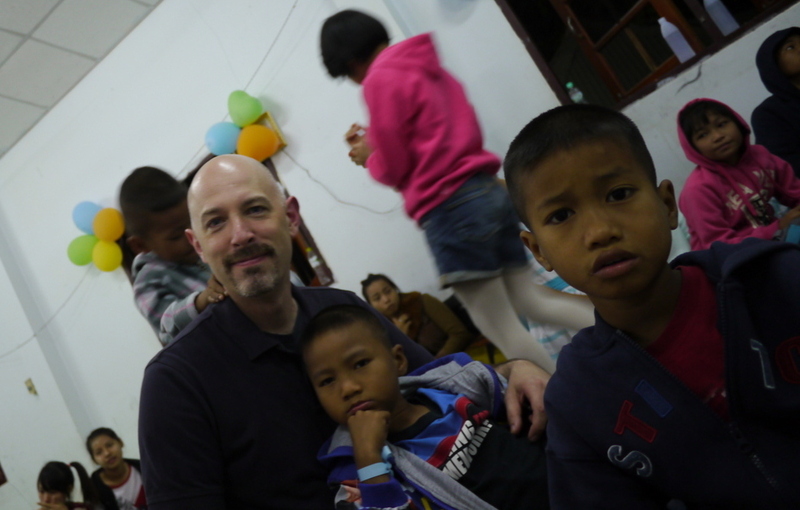 The first day, we went to a “day care” that is run by the orphanage. Located a few miles away in the midst of rice paddies, the structure is just a shack and a broad roof over a packed-dirt floor. Volunteers provide free lunch and basic education for the children of itinerant farmers and laborers four days a week. Our group of volunteers (who are not the normal day-to-day volunteers at the day care) played games with the children and then before lunch, gave them a lesson in proper hand-washing technique including teaching them the “hand washing song”. Given that these children mostly speak Burmese or a local dialect based on their ethnic group (mostly Shan or Karen), I’m not sure they learned the song. But hopefully the basic lesson of the importance of good hand-washing was learned. 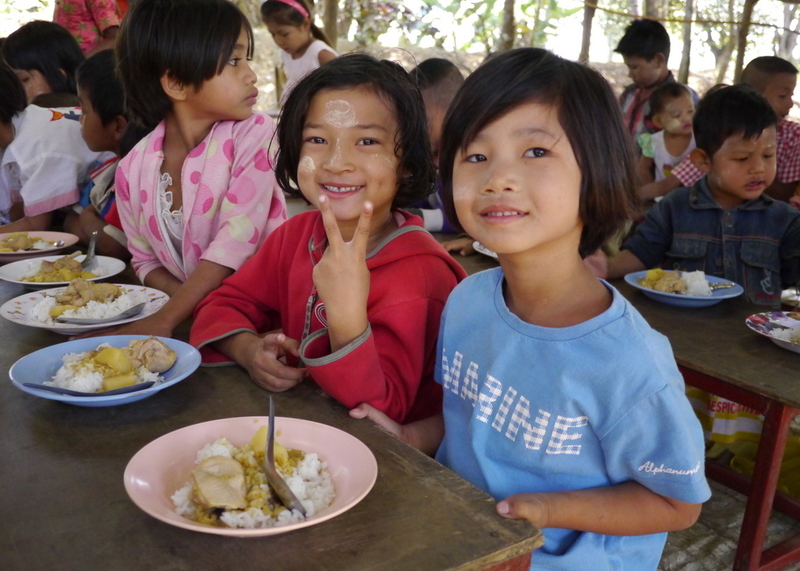 This day for lunch, the children had rice with chicken and curry. Most of the time, the orphanage cannot afford to feed them meat so today’s lunch was a special treat. 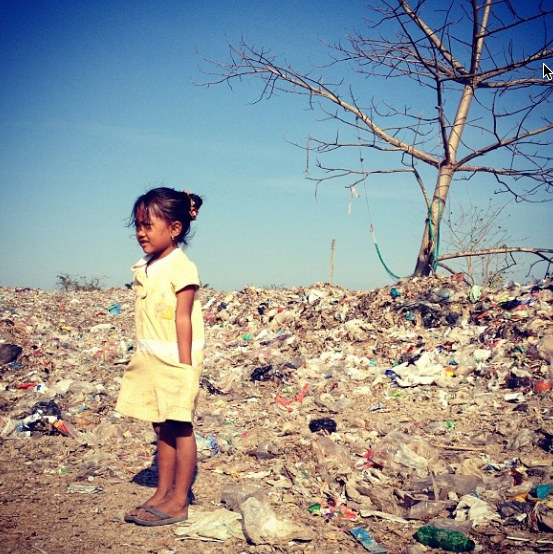 The children’s parents, who are dirt-poor, do not have to pay for this day care. It is provided by donations to the orphanage. In the afternoon, after finishing at the day care, our vans drove for nearly an hour over bumpy roads until we arrived at the middle of the provincial dump. There, we met families of illegal immigrants who earn a living sorting through the refuse and selling materials for recycling. 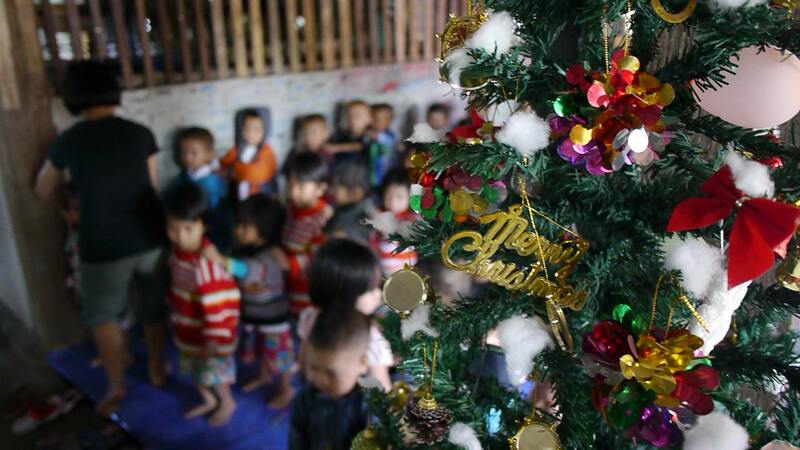 Their rickety shacks line the roads and their children, who are now able to receive some education thanks to a nearby school recently built by an NGO, were happy to see us and receive some Christmas treats. That evening in the guest house while we were debriefing the day, the sound of Christmas carolers filled the air. 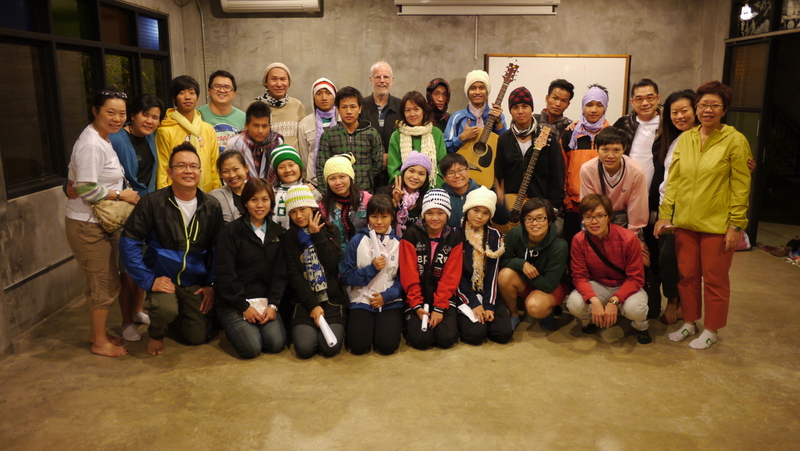 A group of students from the Love & Care secondary school (which we would visit on Day 3) had come to sing us songs. I felt so bad for them as they had piled in the back of a pickup truck and driven 20 minutes in the chilly weather. It was a lovely surprise, though, and quite festive. The next day we spent at the Heavenly Home orphanage, playing with the children, organizing games, bathing and feeding them, and singing songs. This was a particularly rewarding experience because the children are used to visitors and are very eager to play with them. It wasn’t unusual to have four youngsters balanced on my knees with another two or three trying to climb up. The founders of the orphanage, Thantzin and his wife Lily, are a Burmese couple who lived many years in Singapore. Unable to have their own children, they felt called by their faith to help the children of Burmese refugees and migrants in Thailand. 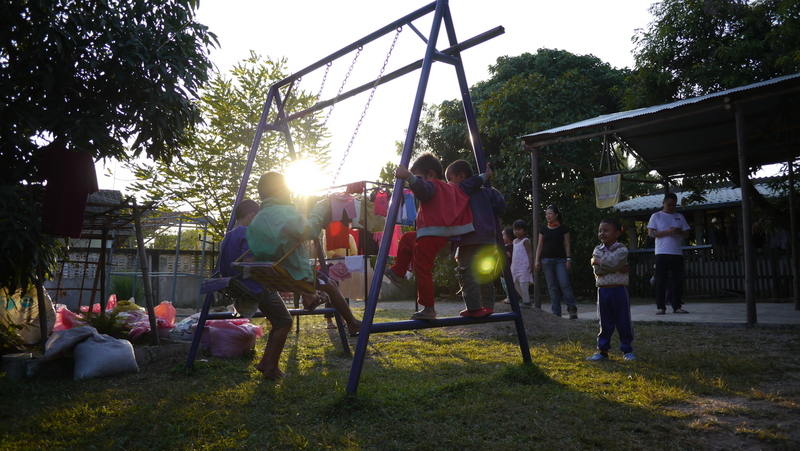 What started initially as a day care has expanded and they now care for more than 50 children whose parents have given them up as well as another dozen whose parents pick them up each evening. While children can stay up to the age of 18, right now they only have children from the age of 3 months up to about 12 years old. Our primary mission was to spread the spirit of Christmas so early on the evening of the 23rd, after the children had eaten their dinner and been bathed, dried, and dressed, they lined up for cake. We then went upstairs to sing songs and give gifts. 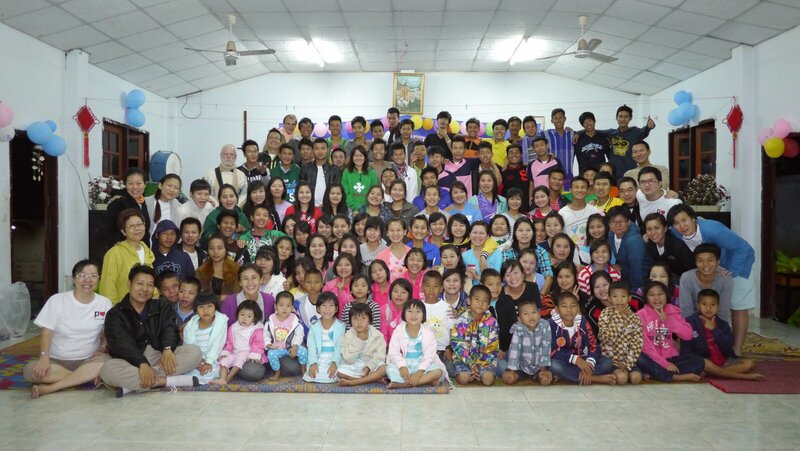 The happy family of Heavenly Home orphanage, crowded into the upstairs living area, which is also the girls’ bedroom. It was a chilly evening so everyone was bundled tight, happy at having such a fun evening. 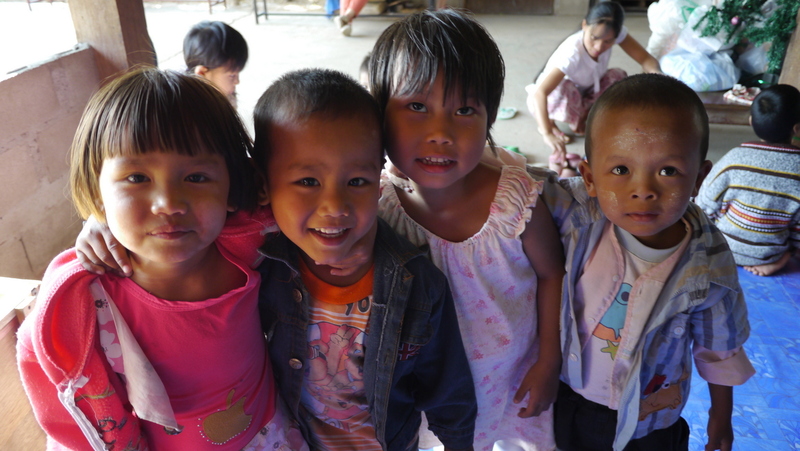 Our final full day was spent at Love & Care, a secondary learning center about 15 minutes outside of Mae Sot. 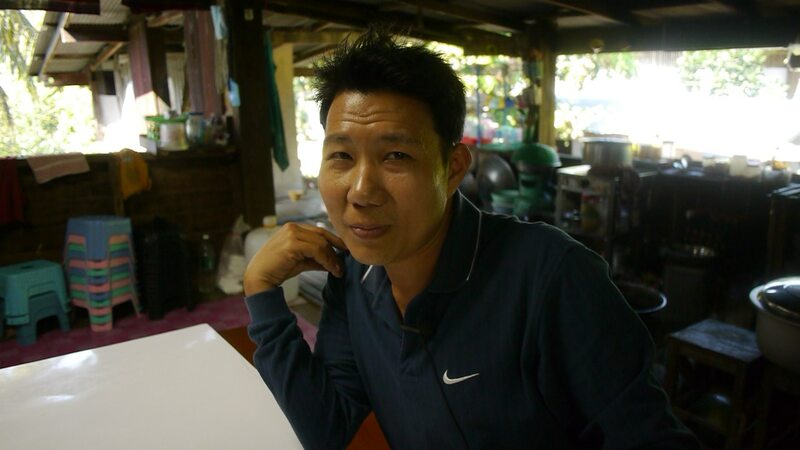 Burmese migrants and refugees face a challenge: undocumented in Thailand, they cannot attend local public schools, but they education they may have received in Myanmar isn’t sufficient for meaningful work in Thailand. 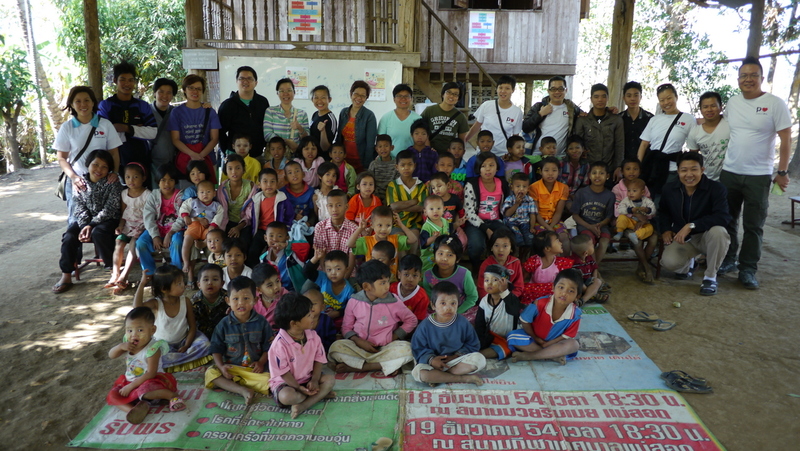 Love & Care is one of many learning centers (not “schools” as they don’t follow the curriculum of the Thai Ministry of Education) serving this group. About 70 students live at the school, which boards all its students. 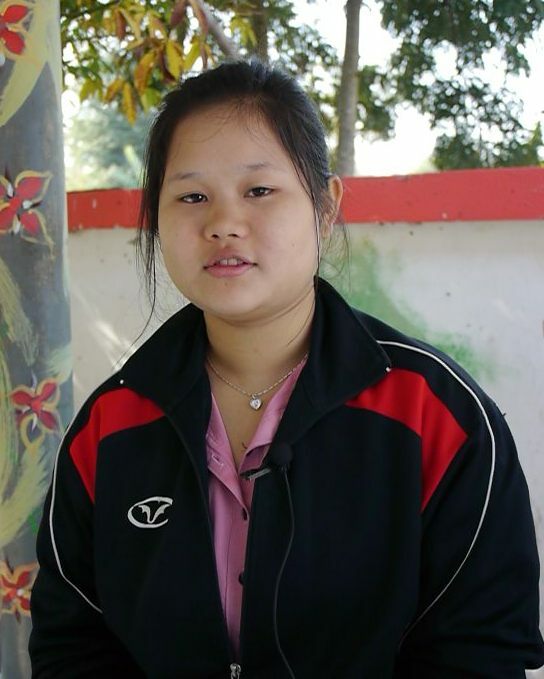 They range in age from about 16-21 and many have already matriculated from secondary school in Myanmar. 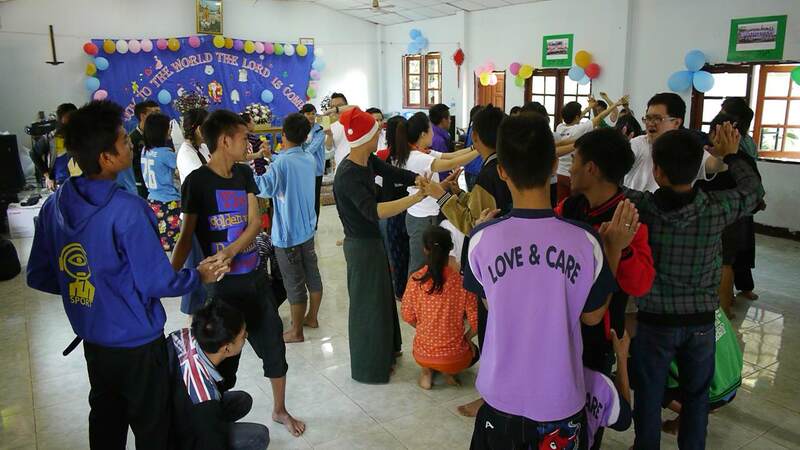 Love & Care offers grades 10-12 taught in Burmese, English, and Thai. While there, I did interviews of several of the students and faculty. Their parents are almost uniformly farmers or laborers and one common thread is that none of them seem to be the oldest child. While I didn’t clarify why this is, I would guess that the oldest child is needed to help on the farm and it is only once you have several children that you can consider sending them for education. We played many games with the students, mostly focused on team-building and other types of skills. After the games, we talked a bit about the lessons learned. A common theme among these students is that they came from different tribes – Karen, Shan, etc. – and it was at Love & Care that they first met people different from themselves and learned that people are all basically the same. Perhaps the most important lesson they have learned, considering they come from a place where deep-seeded animosity exists between different ethnic groups. In the afternoon, we did an exercise where each student created a dream board, using paper, pens, old magazines, etc. The objective was to illustrate the dream they hold for their future. They then took turns sharing their dreams with each other. Most wanted to be doctors, nurses, teachers, or other professions that would enable them to return to their communities and help others. 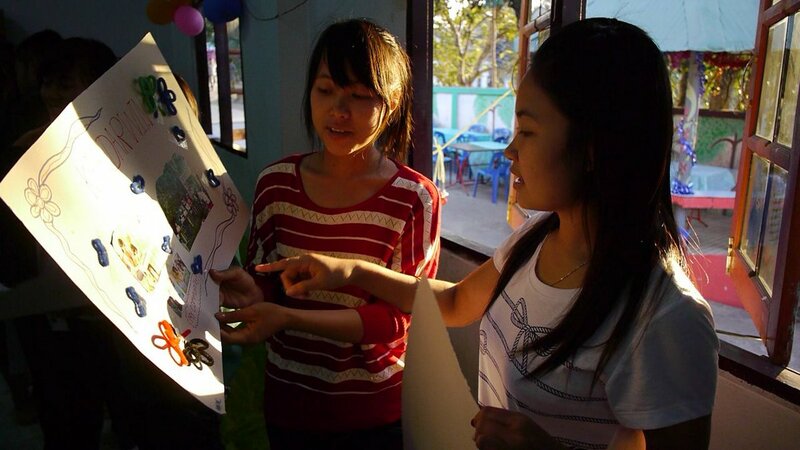 It is easy to imagine what a powerful impact these young people will have on the future of Myanmar. 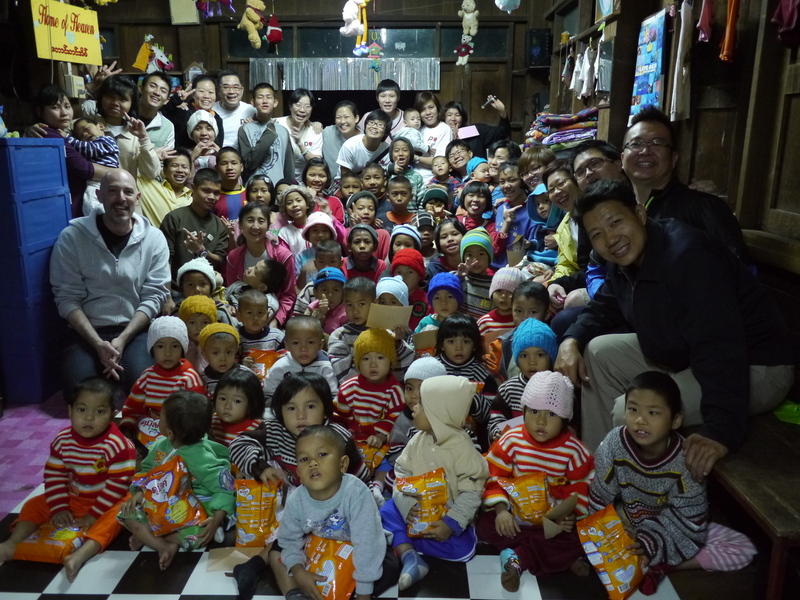 In the evening, about half the children from Heavenly Home joined us and we had a large Christmas show. Different groups of students and children performed, gifts were given, and songs were sung. By the end of the day, many of the students had asked to connect with me on Facebook and I left with many new friends. In the days after this trip, I’ve had several people say nice things about how generous I am, how nice it is that I did this trip, etc. In truth, it is the children and students who have been so generous and I have to admit that I’ve taken a great deal from the experience. Each visit to Mae Sot serves as a reminder that it takes precious little to be happy in life, and that so many people barely have that. Our common humanity binds us and there is great power in showing compassion and sharing love. 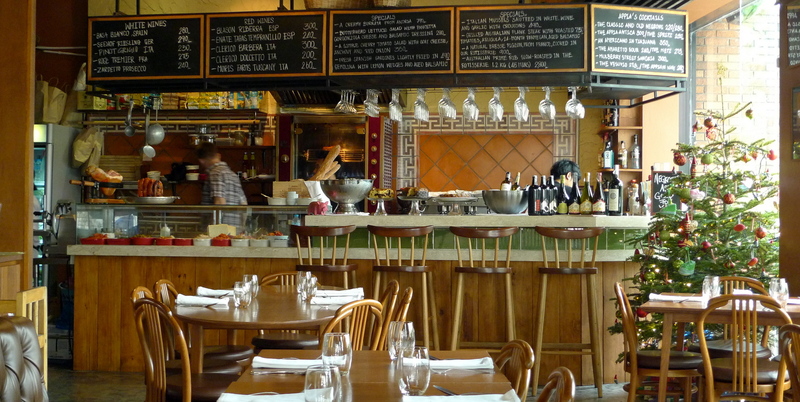 One of my favorite new restaurants of the past year is Appia, the Roman trattoria on Sukhumvit Soi 31. Now that evening operations at the nearly always-packed restaurant are running smoothly, owner Jarrett Wrisley and owner/chef Paolo Vitaletti have introduced a lunch menu. 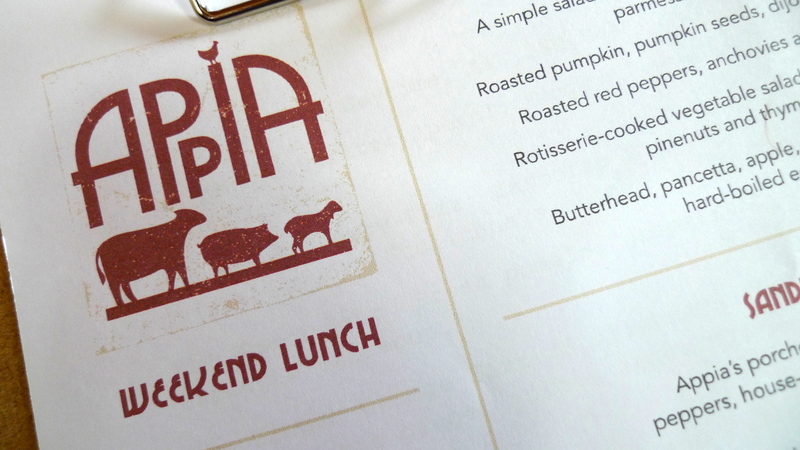 Based on my first visit this afternoon, I think I now have twice as many reasons to make regular visits to Appia. The first thing I noticed upon arriving just before noon (the restaurant opens at 11:30 on Saturday and Sunday) is that the already welcoming dining room is even warmer and cozier with daylight streaming in the one wall of windows. It would be very easy to just curl up in a banquette and spend the whole day there draining a few bottles from Appia’s thoughtful wine collection, grazing from lunch to afternoon snacks to dinner. The lunch menu is largely different from the dinner menu although you will recognize them as relatives. For example, the succulent porchetta appears not as a stand-alone dish but as a sandwich with roasted peppers and homemade pickles. There are a variety of salads, sandwiches, pasta and grain dishes (these, too, do not completely overlap the dinner menu) and a handful of egg dishes. With two of us dining, we had to restrain ourselves a bit while still trying a cross-section of the menu. 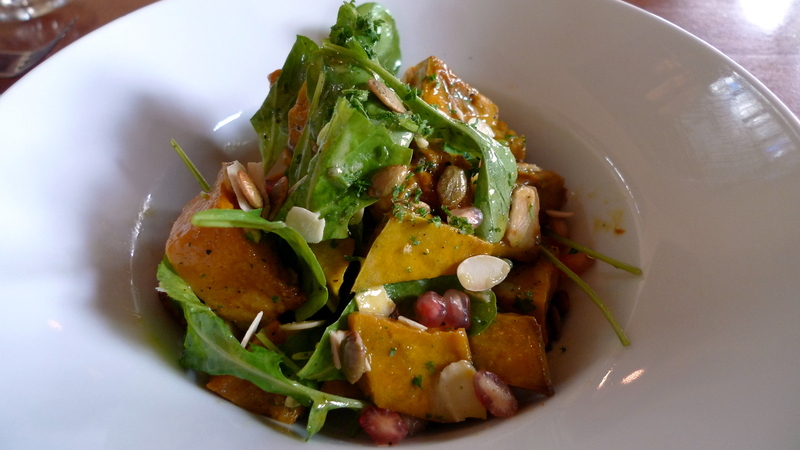 We began with a roasted pumpkin salad, which is garnishes with rocket, pumpkin seeds, almond slivers, and pomegranate seeds, dressed with dijon mustard and honey. This salad was perfectly seasoned and the pumpkin was tender but not mushy, a texture that can be unappealing with a room-temperature salad. We also tried the crab sandwich served with spicy aioli and provolone cheese on whole grain bread, served with a side of the homemade pickles. While the sandwich may not have looked like much, its pedestrian exterior hid a generous portion of fresh, sweet, large-lump crab meat. 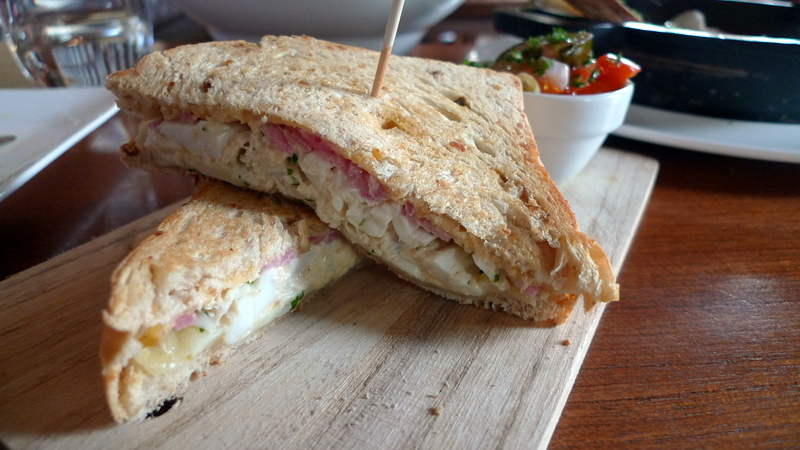 This sandwich along with a salad would make for a very satisfying meal. 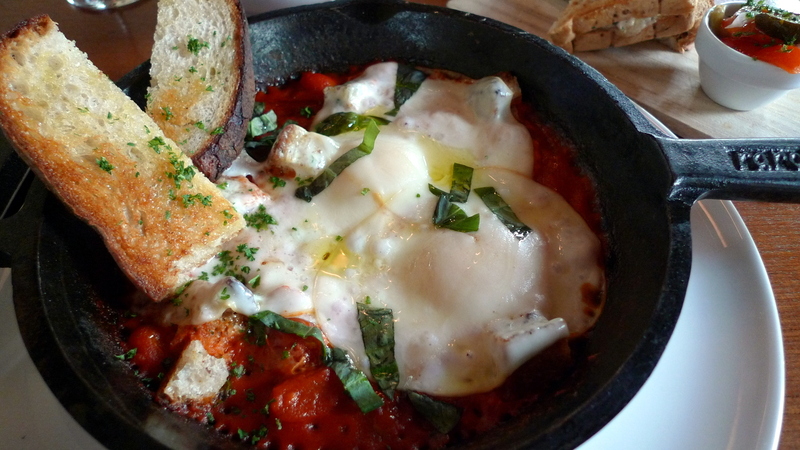 The first of our two egg dishes was the uovo alla pizzaiola – two Parisi eggs (imported from Italy) baked in a vibrant tomato sauce topped with stringy fresh scamorza cheese. Served with some toast, this assertively seasoned dish verged on the hearty, even though it is vegetarian (albeit not vegan). 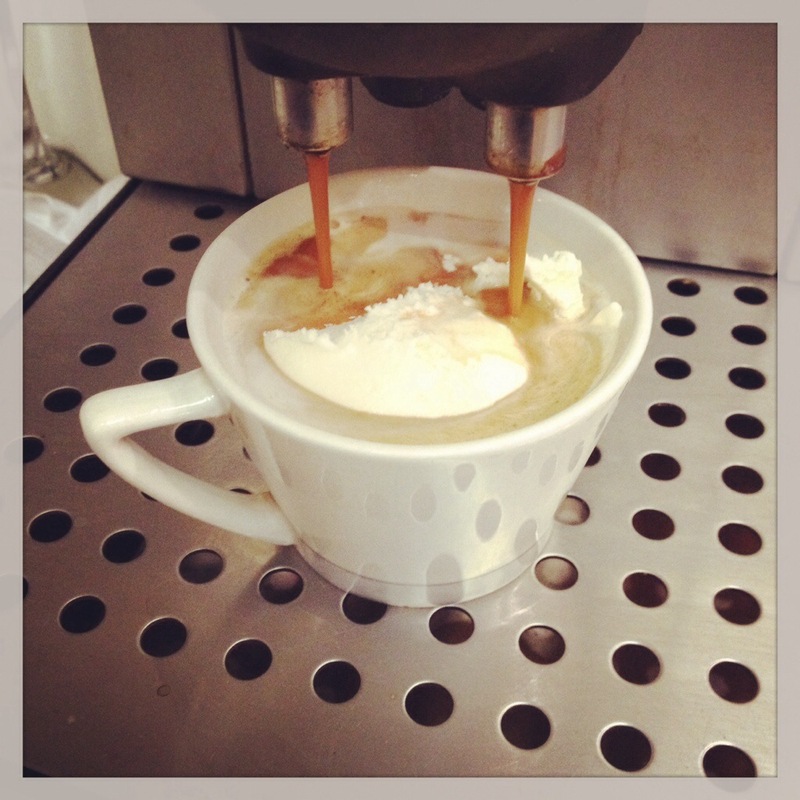 Chef Paolo really coaxes a great deal of flavor out of just a handful of ingredients. 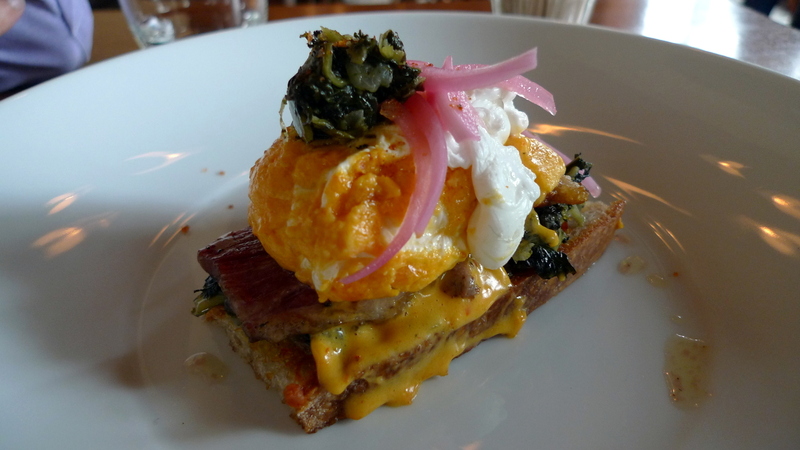 The second of our egg dishes was Appia’s take on Eggs Benedict: poached eggs served on corned beef, chicory, n’dujia sabayon (think spicy spreadable pork sausage Hollandaise sauce), over sourdough bread. This dish packed a punch! The bitterness of the chicory was cut by the saltiness of the beef and all of it was tamed by the n’dujia sabayon. The dish brimmed with umami. Prices are very reasonable for the quality of food, with sides and smaller dishes starting at around 140 baht and mains topping out at 380 with most in the 280-300 range. Since lunchtime dining has just been introduced, there isn’t yet a crowd, but I would imagine that before year’s end reservations will be advised. Catching up on the events of the past month or two, in late October I attended an annual Halloween party at the Mercy Center in the Bangkok neighborhood Khlong Toei. 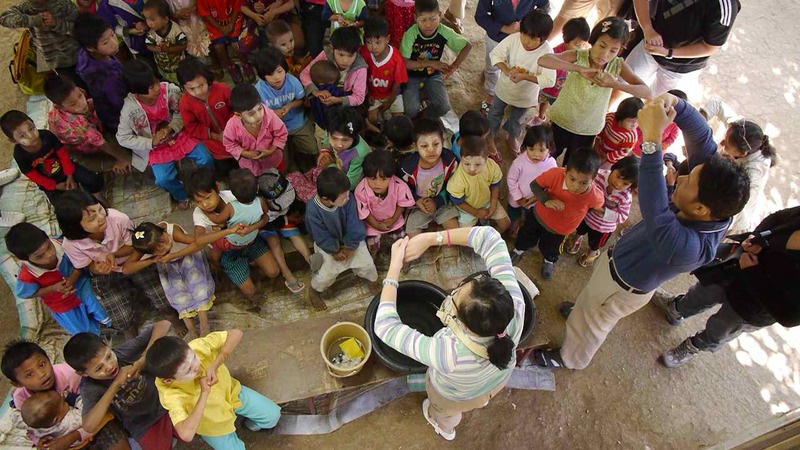 Mercy Center, founded by a Catholic priest who has been a longtime fixture in the surrounding slums, provides extracurricular activities and ongoing education for local children. The Halloween party is pulled together by several business owners associated with the American Chamber of Commerce. This was the second time I volunteered and this year I scored the assignment of working the face-painting table. While we had lots of face paint, our tools were limited and the children had high expectations: Zombie! Dracula! Ghost! As you can imagine, over time the ghosts started to look more like vampires and the zombies started to look more like children with green faces. I was thrown for a loop when one girl asked to be a butterfly. It wasn’t until I looked at one of the face painting kits that I realized that there was a picture of a girl with a very elaborate butterfly on her. Regretfully, I hadn’t the tools to make her as beautiful a butterfly as on the package, but she seemed pleased with the results. I tried my best and next year will be sure to bring some proper makeup sponges (instead of just using the random foam sponges we had access to) and brushes. Still, it was a fun time and the 300 or so children seemed to really enjoy themselves. It is neat that there are so many people who come together to create these sort of opportunities for children. “I have something important I want to talk to you about,” Tawn said with a look of seriousness. “I think we should get a dog.” Trying to be a more effective communicator than usual, I decided to listen instead of immediately listing the dozens of reasons why getting a dog was a bad idea. So I settled back into the couch and tried very hard to have an open mind. The end result of the discussion was that we ended up getting a dog. 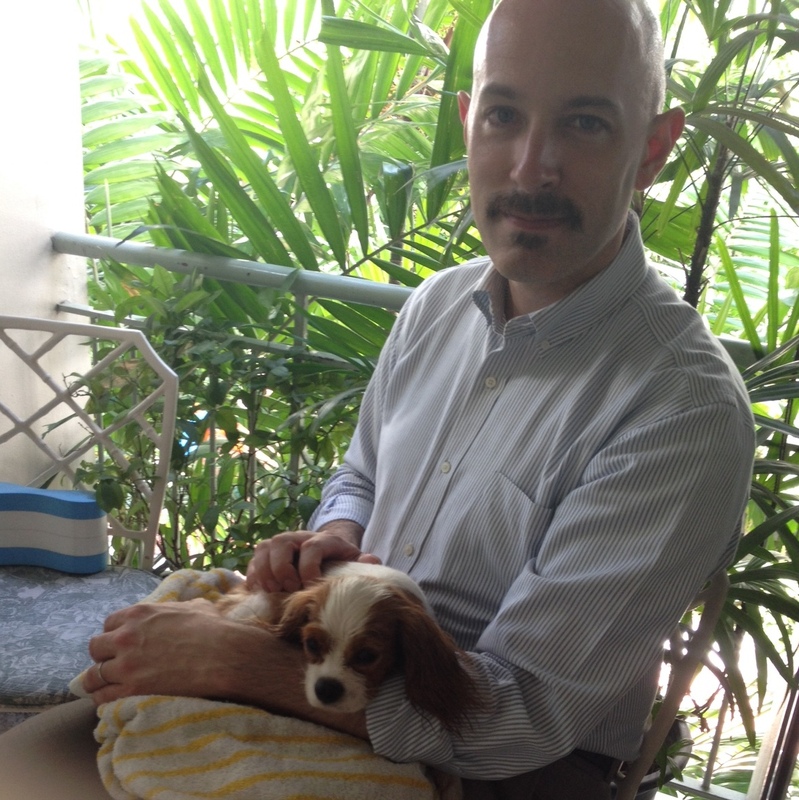 Despite my misgivings – we live in a no-pets condo, and a small one at that; our schedules don’t allow much time for a dog; while I love dogs I don’t want to be responsible for one – I told Tawn that if he could address the concerns that I felt, we could get a dog. 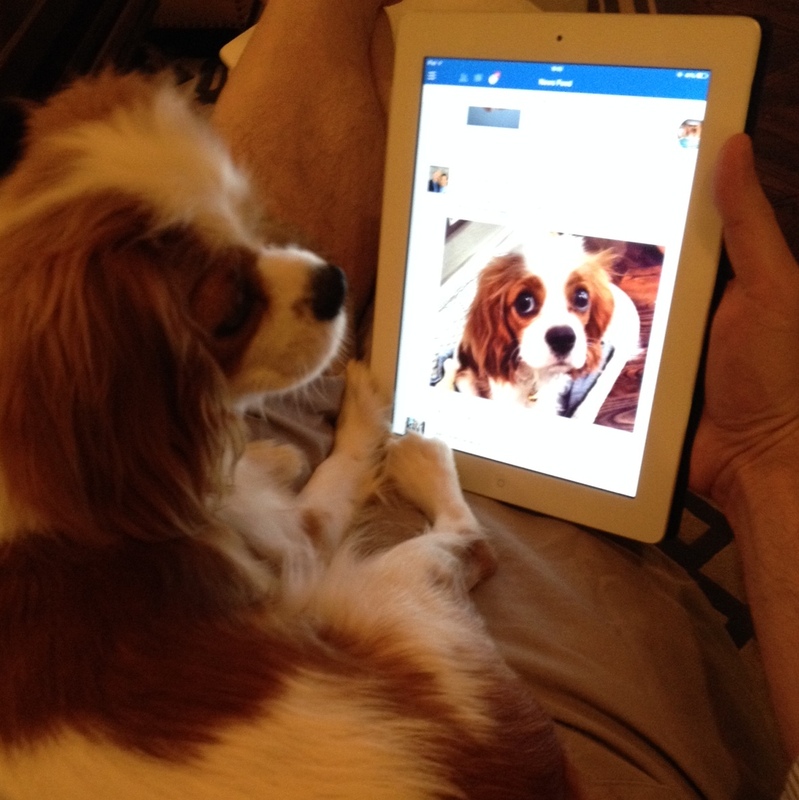 A week later, Tawn drove to a breeder across the river to pick up an 8-month old King Charles Cavalier. She had just been flown in from another breeder in Malaysia the night before and Tawn had been talking to the Thai breeder for a few weeks before asking me if we could get a dog. 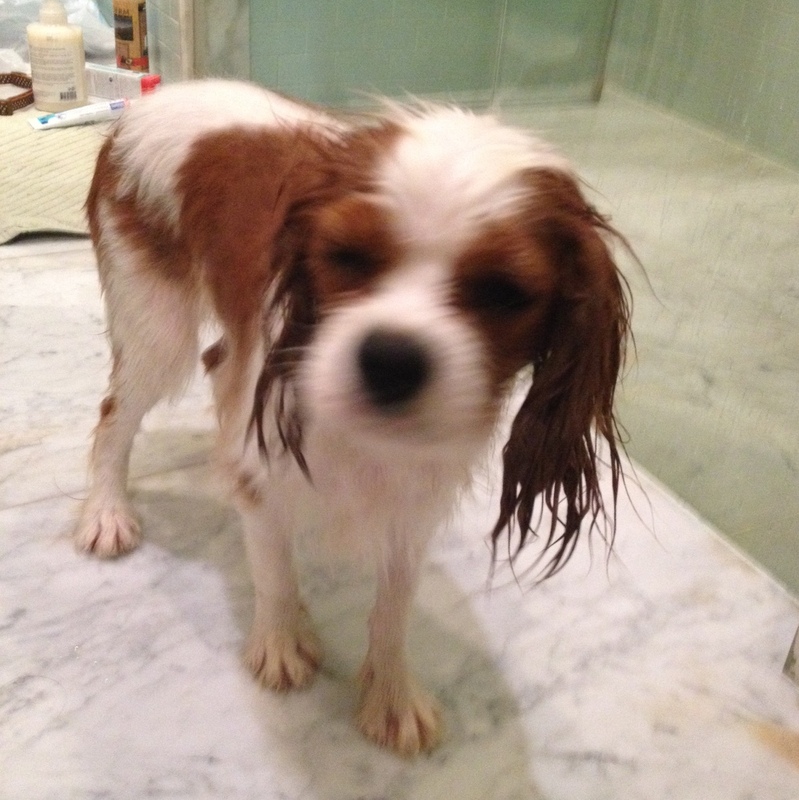 I arrived home in the middle of the afternoon to find them in the bathroom: a sad, soaked pup shivering on the marble floor as Tawn tried to blow dry her hair. Even though she had never met me, she readily jumped into the relative safety of my arms. Her wet, floppy ears quickly soaked my shirt sleeves. We sat on the patio for the next hour or so, the ceiling fan stirring a gentle breeze as I held the dog, whom we named Kiki, in a towel and tried to dry her fur. Her shaking stopped and she would doze for short intervals but quickly awoke at any movement or sound. After a trip to the local pet store to buy some supplies for Kiki, Tawn had to head out for an event. I had some cooking to do in preparation for a dinner the next day. Kiki sat in her basket for a while and then in her kennel, watching me as I cooked. Even though she could see me, she would frequently bark, calling for my attention. I would let her out and try to keep an eye on her as I cooked. Three times there were accidents on our carpet. Not being experienced caring for dogs, I quickly Googled for advice and tried to respond to the accidents without anger, instead carrying her to some newspapers on the patio whenever I though she might need to go. Tawn returned home, excited at the prospect of a dog waiting for him. She still seemed a little timid, afraid perhaps that he would whip out the hair dryer once again. We put her in the kennel several times, leaving the room for an increasing length of time. She would yip and yelp quite quickly and we were worried that the neighbors would be disturbed by the noise. Finally, when it was time for bed, I decided we should take some additional online advice: to help puppies adjust, place their kennel in the bedroom at night so they can sense that you are nearby. This seemed a reasonable step but about once every hour or so, Kiki would wake up and call for us. Finally, after the third time, Tawn took the kennel into the living room and stayed with her while I fell back asleep. In the morning, I found him lying on the couch with Kiki in a basket nearby. With a voice filled with regret, Tawn told me that he had spent the night up with her. While doing so, he had evaluated his decision and said that he had probably miscalculated how much time and energy it would take to care for a new dog. He proposed that we call the breeder and return Kiki. Again trying to be a good communicator, I listened, acknowledged his points, and let him know that I would support him either way. If he wanted to keep Kiki, we would find a way to make it work. If he wanted to return her, I would understand that, too. 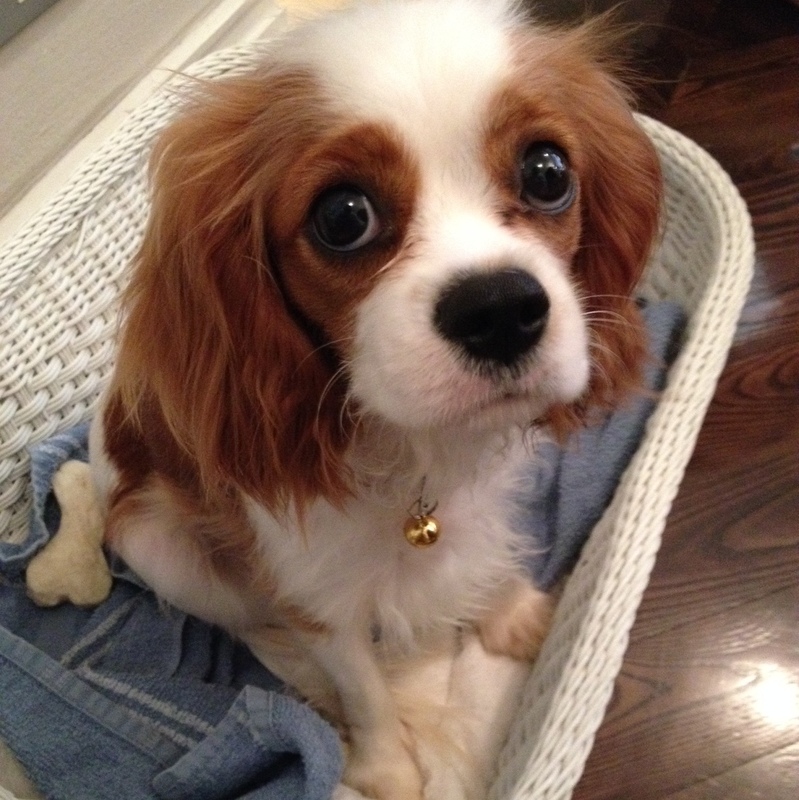 In the end, we put Kiki in her basket and drove back to the breeder’s that morning. Kiki was subdued, probably from a combination of exhaustion and anxiety. Handing her back to the maid at the breeder’s house, I couldn’t hold back my tears. The next day, the breeder posted a picture of Kiki (whose real name is something fancy like Lady Penelope) sleeping peacefully with her sister, along with a comment about how happy she seemed to be to be back at home. That helped reassure Tawn that we had made the right decision. Looking back, I think it would have been possible to make Kiki a part of our lives. It would have taken a lot of work over several weeks, but it could have been done. But I also think that we made the best decision, because a dog (especially a lap dog) really requires time and attention. It isn’t fair to not be prepared to give them what they need to thrive. Trying to catch everyone up on my recent activities, in November I celebrated my birthday by cooking a dinner for some of my friends. One friend had recently remodeled his condo and was itching to have a dinner party to show off the new open-format kitchen. 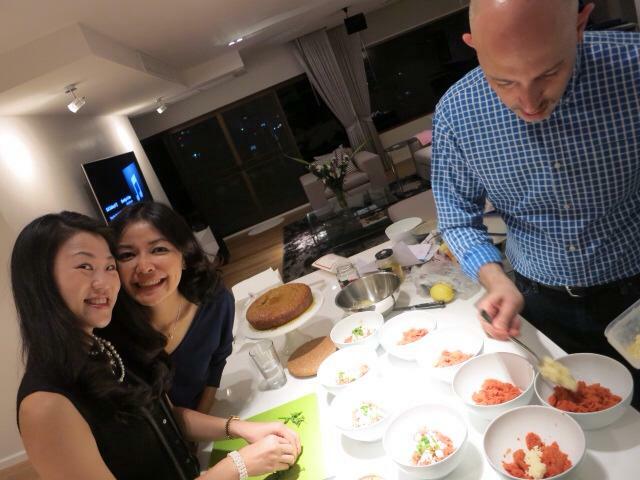 Never shy about messing up, err… cooking in someone else’s kitchen, I accepted his offer and started planning a meal around the theme of umami. Umami is the fifth taste (after sweet, sour, salty, and bitter). A Japanese word, it describes the “savory,” “meaty,” or “fulfilling” quality. Umami is tasted through glutamates, a type of amino acid that is found in foods such as mushrooms, anchovies, fish sauce, tomatoes, Parmesan cheese, and MSG. 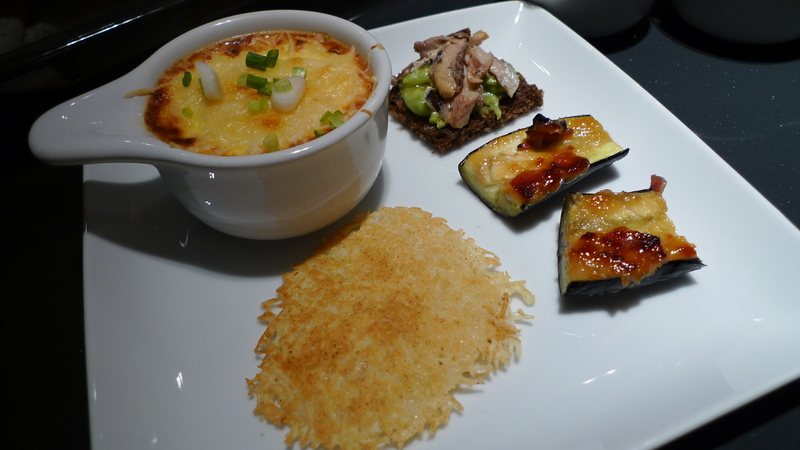 The appetizer course featured three umami-rich items: a Parmesan and wild mushroom custard, miso and bacon glazed eggplant, and whole grain toasts with avocado and soy-sauce dressed sardines. This was probably a wee bit ambitious as there ended up being so much food that this course was almost a meal in itself. The “soup” course was a bit clever, if I say so myself. 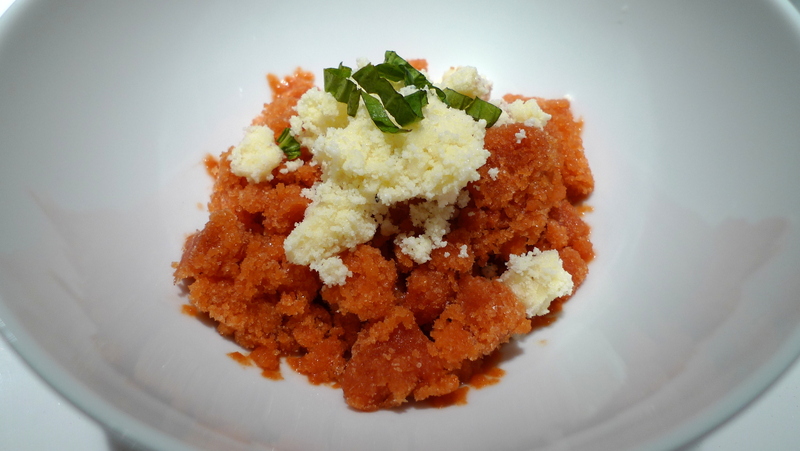 I borrowed a friend’s ice cream maker and turned a roasted tomato soup into a granita and served it with Parmesan sorbet on top. It really had all the flavors of a tomato soup (plus a little spicy as I added dried chilies) with cheese sprinkled on top, but it was frozen. 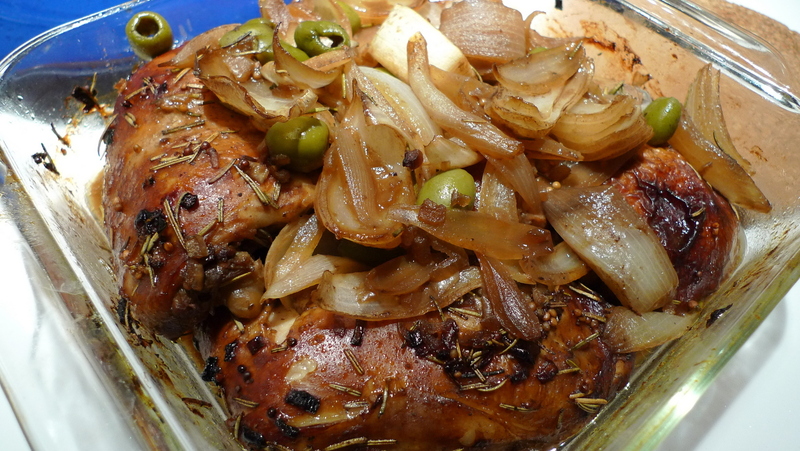 The main course was balsamic vinegar marinated roast chicken with green olives. This excellent choice of a marinade makes for rich, flavorful, and moist meat. Will definitely repeat this recipe. 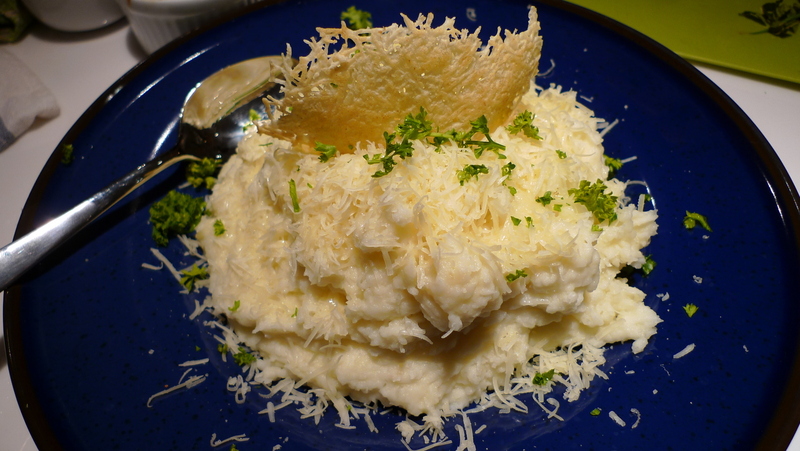 Accompanying the main corse were garlic and black truffle infused mashed potatoes with more Parmesan cheese sprinkled on top. 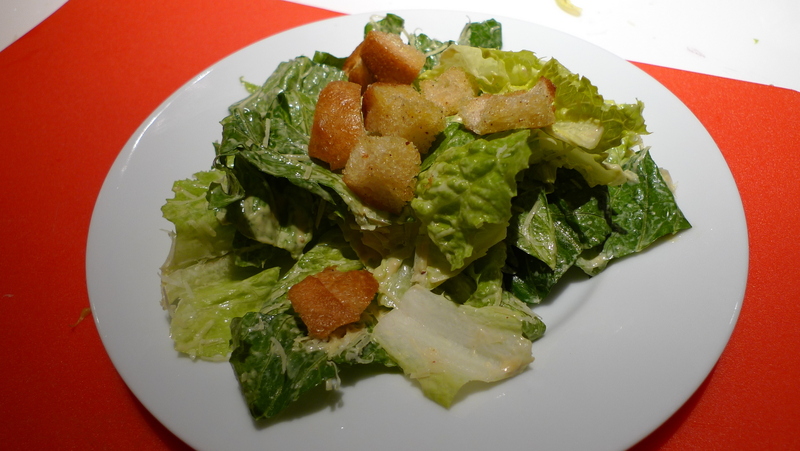 We concluded the meal with a salad course, a Caesar salad with homemade dressing. This is the first time I’ve made Caesar dressing from scratch and it is incredibly easy and really much better than from a bottle. Served with homemade croutons with truffle salt. 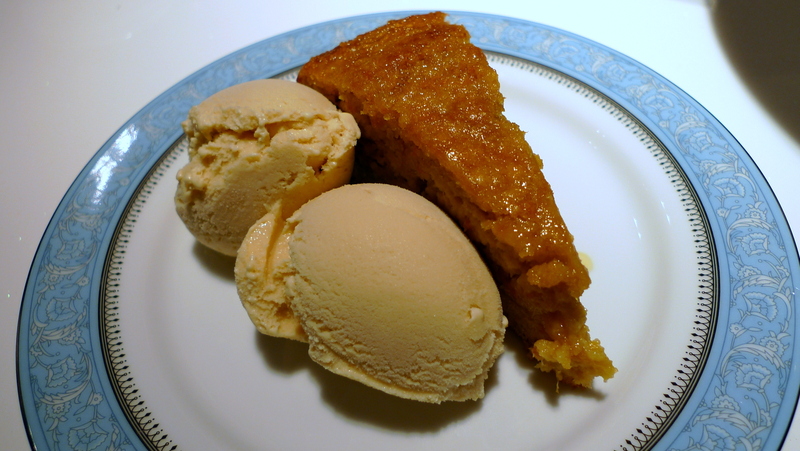 For dessert, I served an interesting Sicilian orange olive oil cake with homemade cardamom ice cream. The cake was interesting because it is made by quartering and boiling oranges (unpeeled) in three changes of water and then pureeing the oranges, rind and all, and incorporating it into the batter. The result is a moist, intensely flavored cake. The cardamom ice cream was an excellent compliment to the cake. 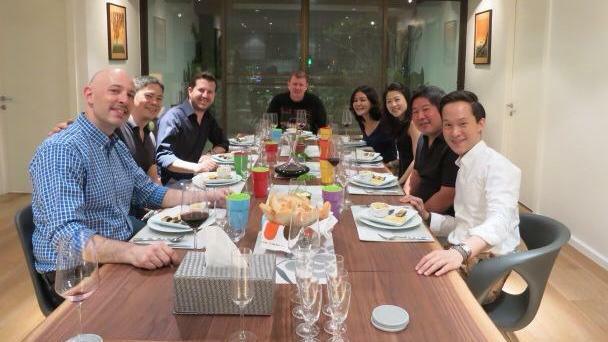 While there were some friends who weren’t present, the dinner itself was a success. I was very happy with the dishes and while I would probably not be as ambitious next time, I think many of the recipes are worth visiting again.